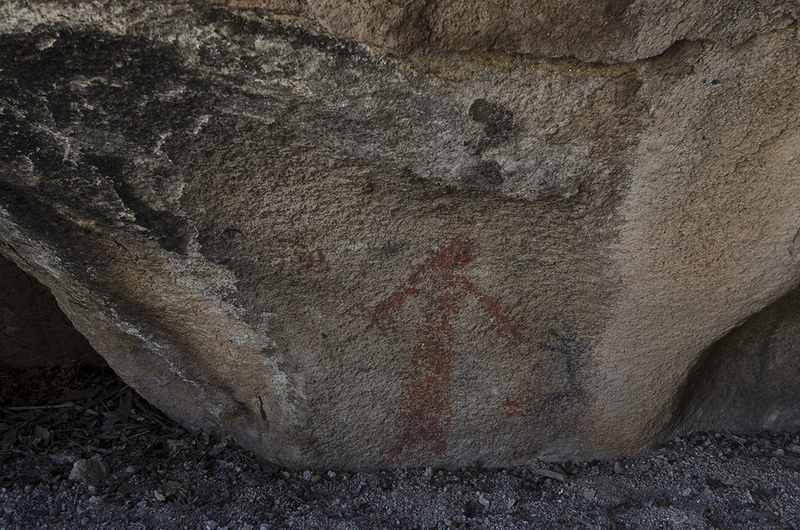 Who is the mysterious “Red Lady” of Joshua Tree? And where can I meet her? Well, she’s an anthropomorphic figure, likely of Chemehuevi origin. She’s made of red pigment and I found her in a rock shelter in the Wonderland of Rocks. 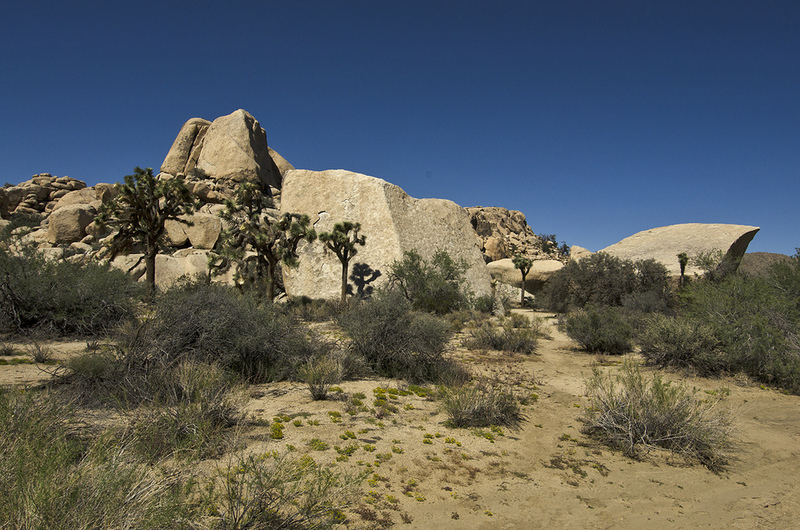 The shelter is formed by two huge boulders leaning against each other and is believed to be a fertility site. 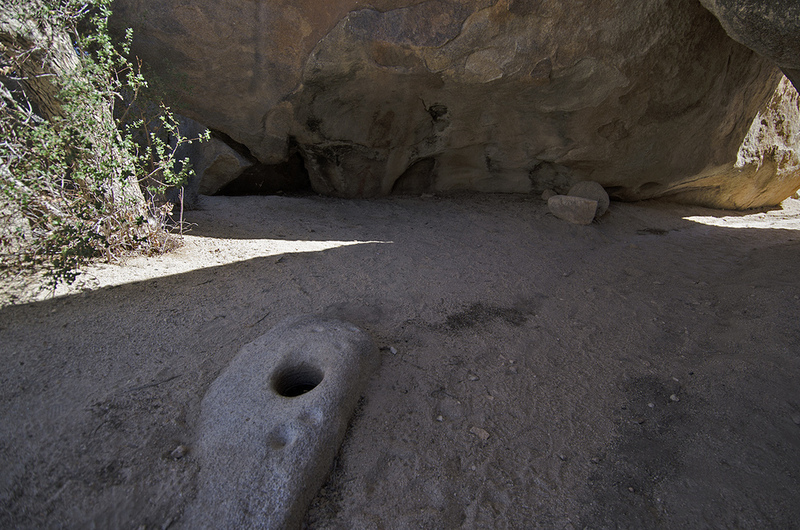 The Red Lady seems to be watching over a much older bedrock mortar near the center of the shelter. 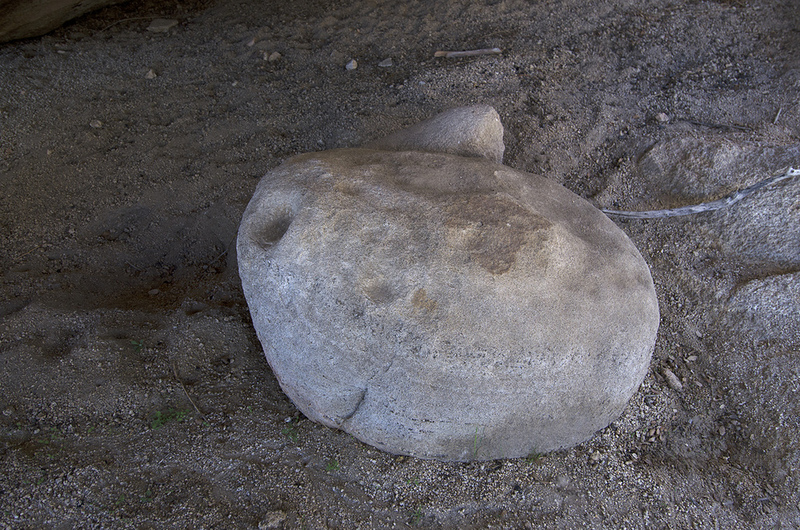 A dozen small cupules cover the rock surrounding the mortar, these were probably used for grinding seeds and nuts, or paint pigments. 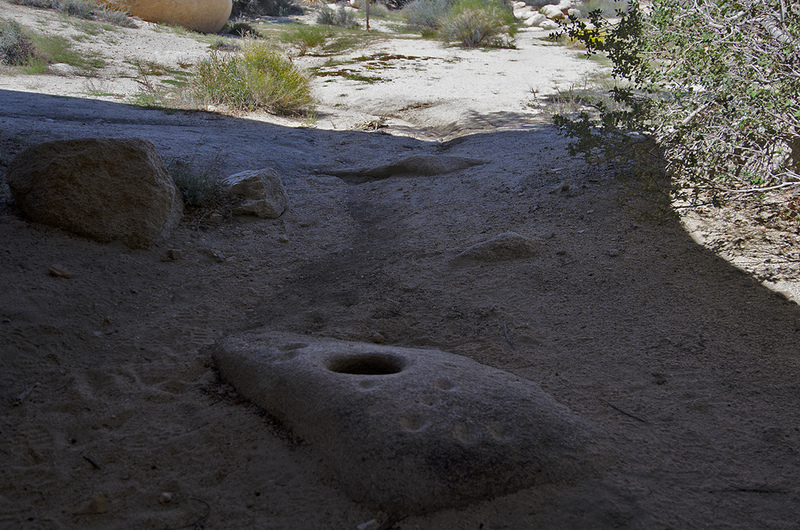 The fascinating thing about this site and what leads archaeologists to believe that the Chemehuevi or Serrano may have used it to mark the first day of spring and the return of fertility to the earth is this: on the Spring Equinox, the midday sun casts an “arrow of light” that directly intersects the bedrock mortar. This suggests the “theme of Earth being impregnated by the Sun,” and the beginning of the season of fertility. 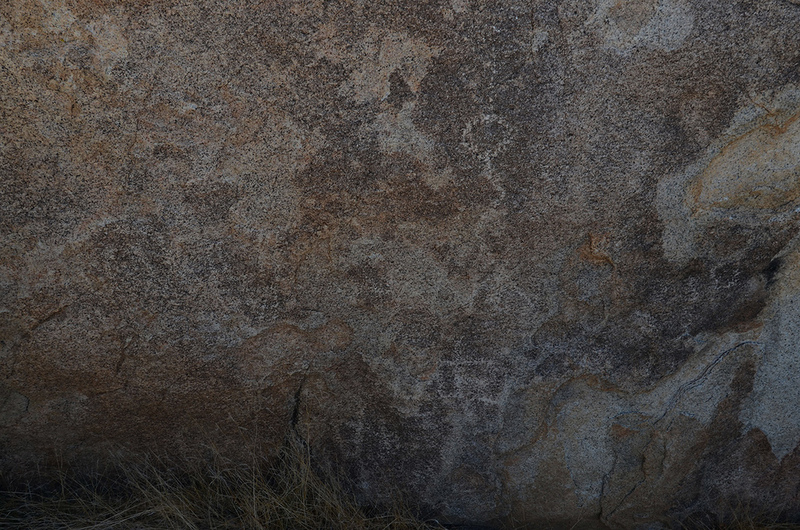 There are a few other pictographs in this shelter, but they are very faded and difficult to see. 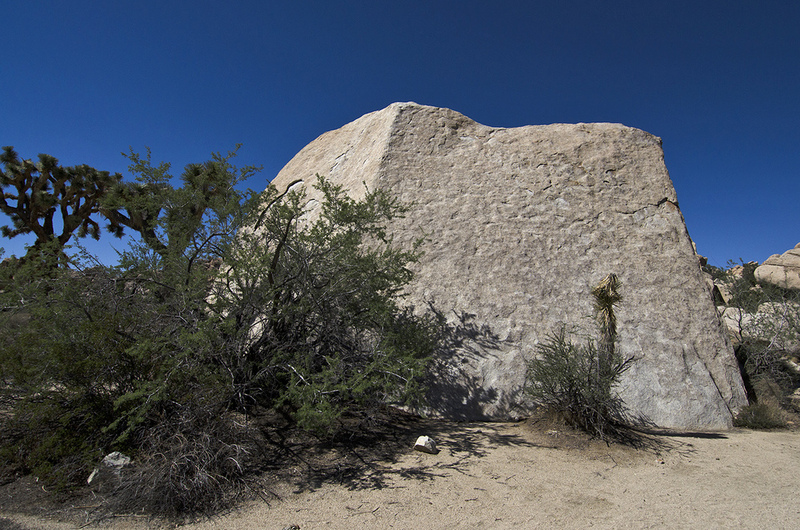 But it was nice to finally meet the Red Lady of Joshua Tree and I’ll definitely be back to explore the rocks surrounding her home. Maybe she has some relatives in that next bunch of rocks right over there. Let’s go see what we can find.